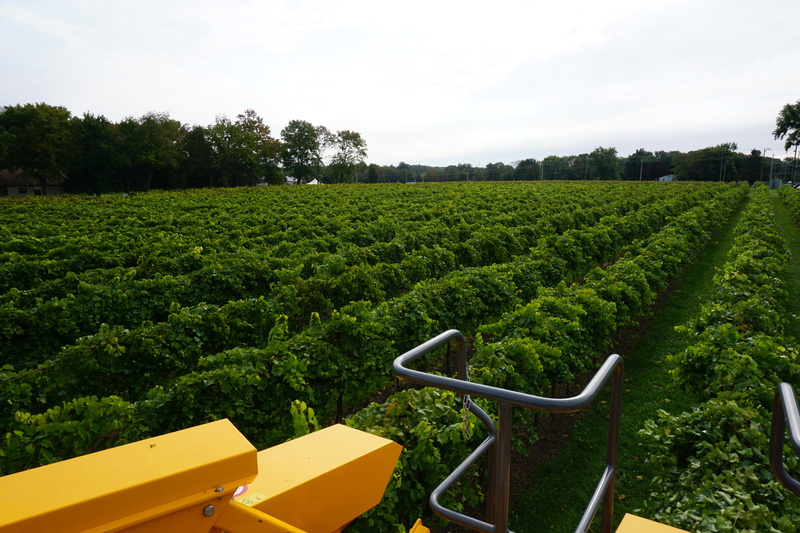 Great wine starts in the vineyard! 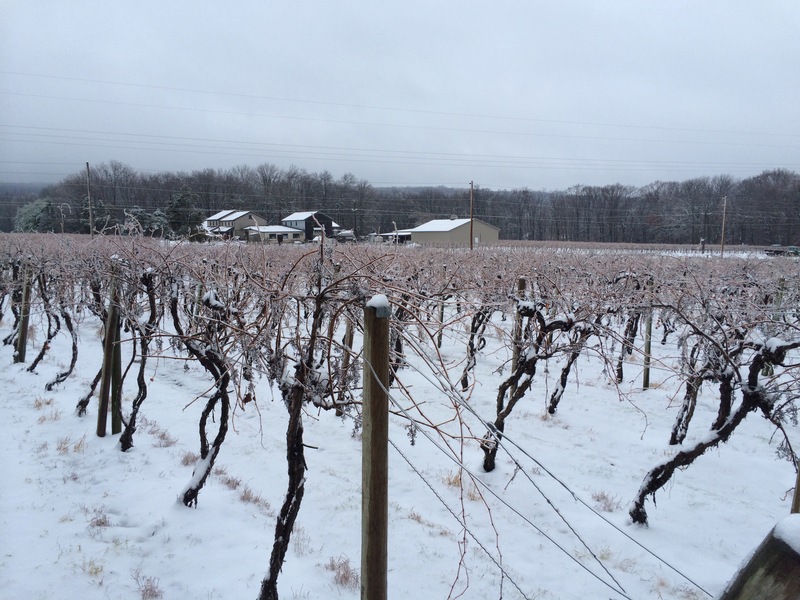 And the growing conditions for growing grapes in Bucks County rival the best in the world. Fertile, well drained limestone soil, moderate year round temperatures, and good average monthly rainfall. No floods, earthquakes, irrigation, blistering summers or vine injuring winters. Our grapes grow and mature the best way...naturally. 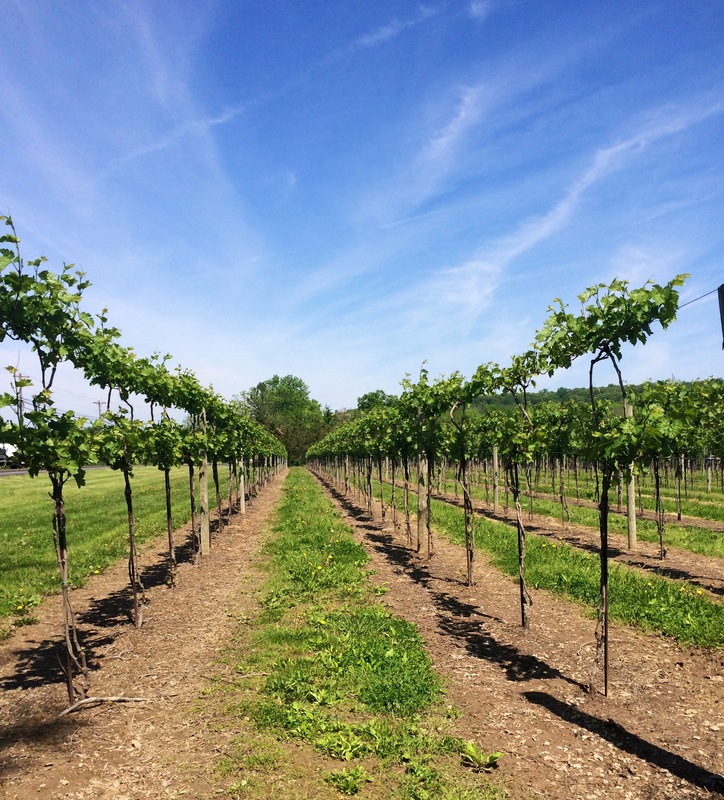 Our vineyards are planted in French hybrids, vinifera, and native American varieties. Wine snobbery aside, we find all three species produce drinkable wines that appeal to many different people. 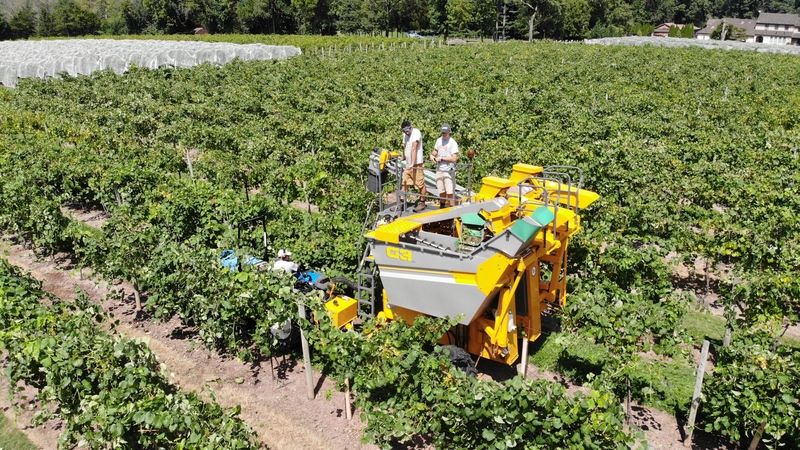 We harvest through September and early October with a French made mechanical harvester, which gently shakes the ripe grapes off the vines and deposits them into a stainless gondola. 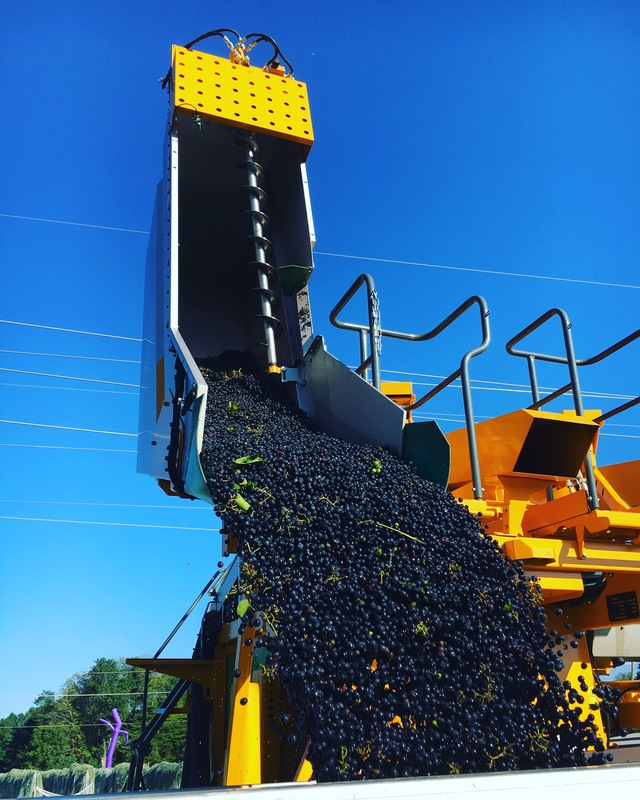 Though a major investment, we prefer this method over hand picking, because with our vineyards and winery on the same site, we are able to pick in the cool early morning and process the grapes within minutes. They don't sit in the hot sun for many hours like many hand picked grapes. 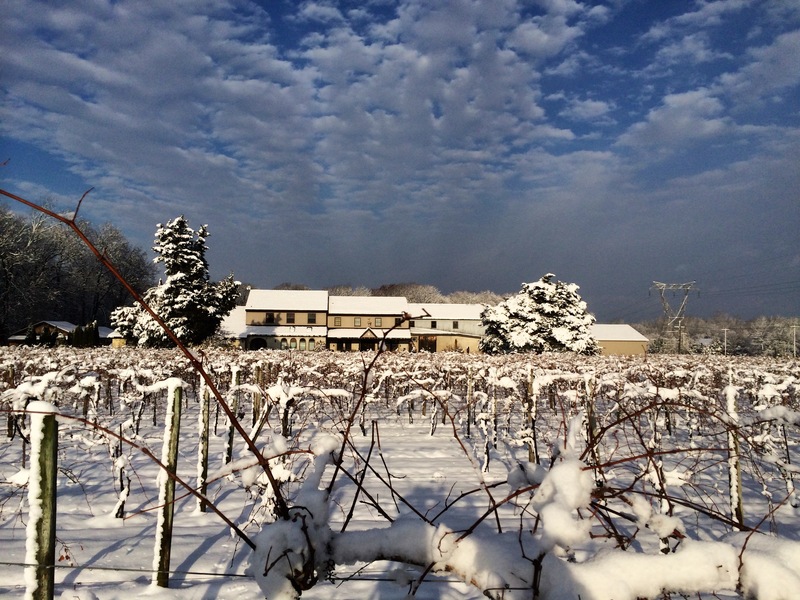 You will find almost two dozen varieties of wine at Buckingham Valley, ranging from deep colored oak aged reds to light whites. Still, sparkling and fortified. Very dry to deliciously sweet. Mostly from grapes, but also from apples. strawberries, blackberries and raspberries. 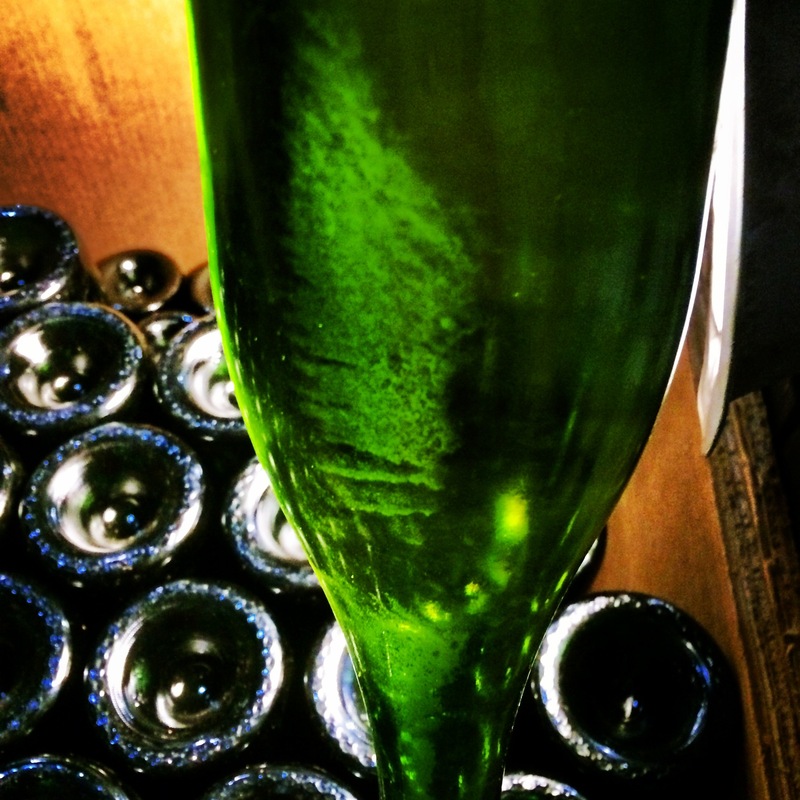 Winemaking is both an art and a science, and you will find as many ways and opinions are there are winemakers. We do what we have found through over fifty years of experience to be best for our particular varieties to produce our desired style of wine. 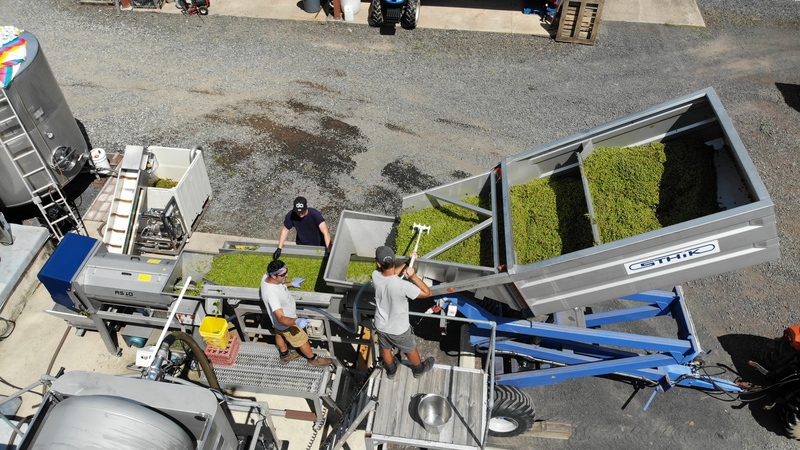 White wines are made from white grapes, quickly pressed after picking to preserve fresh flavors and light color. Red wines are fermented on their skins long enough to extract the desired color and complexity before being pressed. Most of our wines spend their time in stainless tanks, being racked (transferred to another tank, leaving the sediment behind) several times. 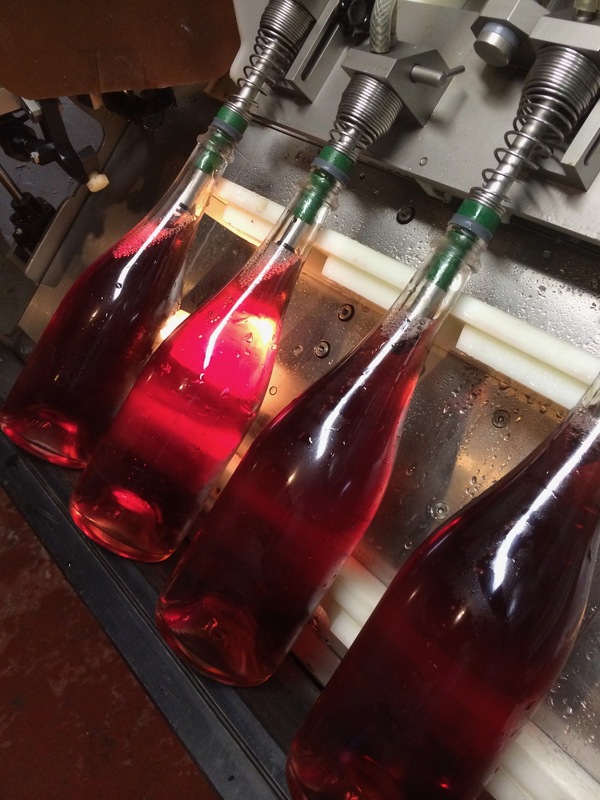 White, rose, and fruit wines are usually bottled in one to two years. 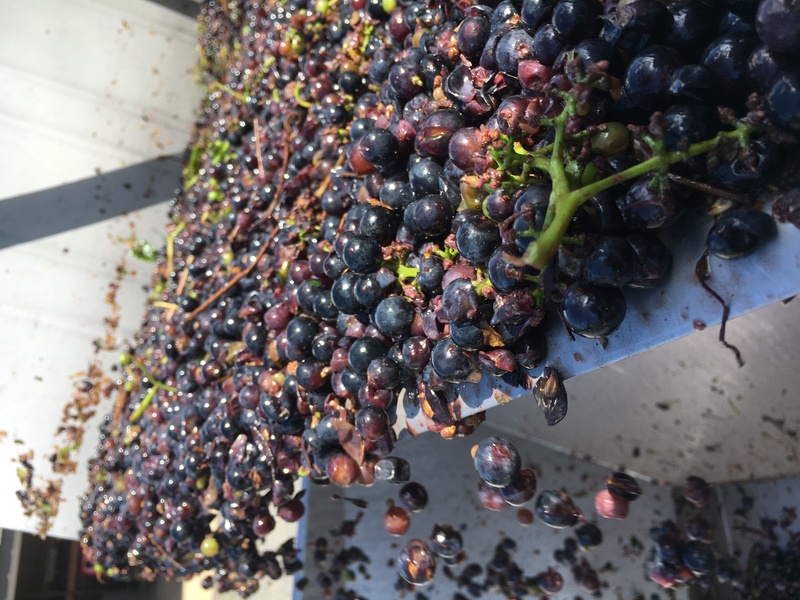 Red wines are oak aged for a longer time before bottling. While we still use some traditional old world methods, our processing facilities and equipment are state of the art; the best of both worlds for consistent quality and style. We consider wine to be one of the basic food groups. To be enjoyed with meals or without. To be consumed without ceremony or snobbery. To be affordable for every day drinking. Thus our wines are very reasonably priced.